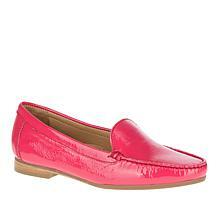 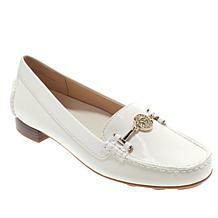 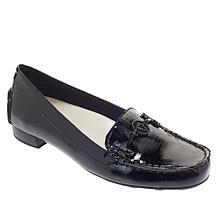 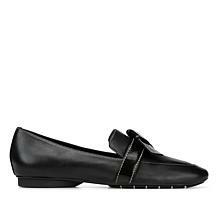 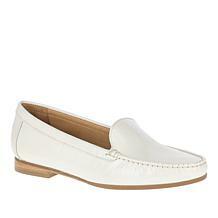 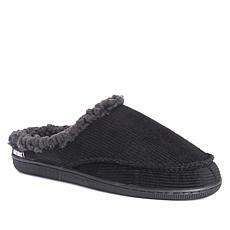 Slip on heaven. 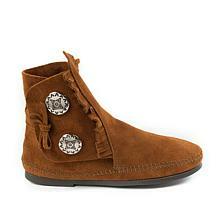 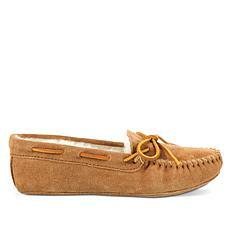 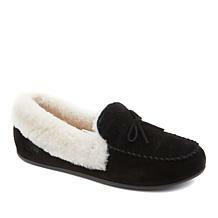 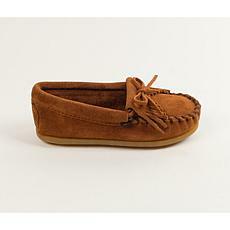 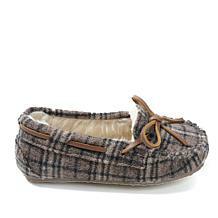 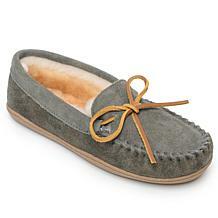 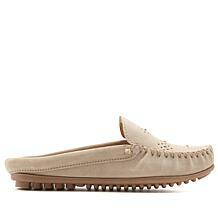 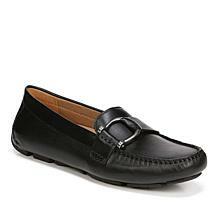 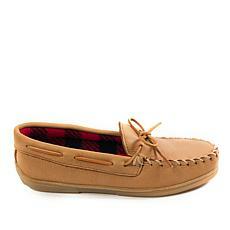 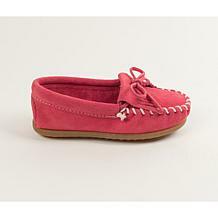 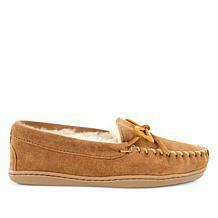 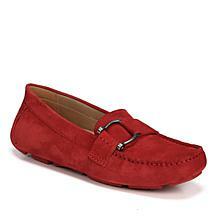 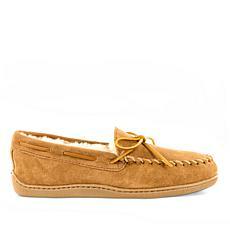 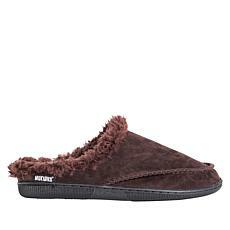 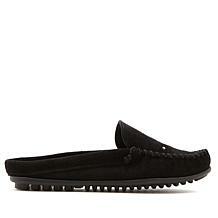 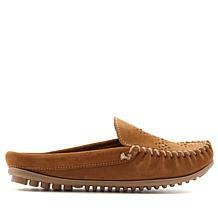 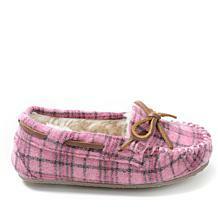 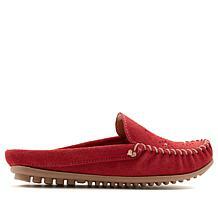 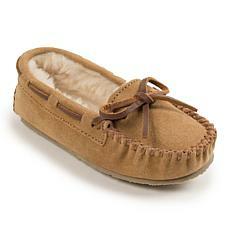 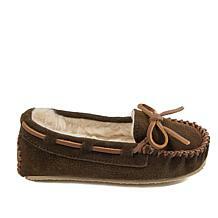 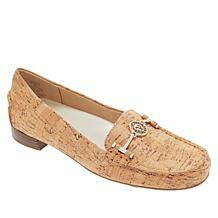 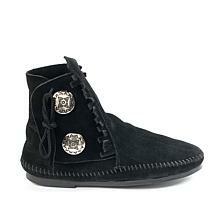 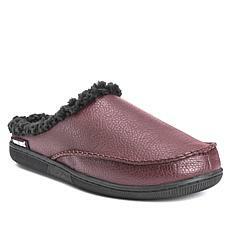 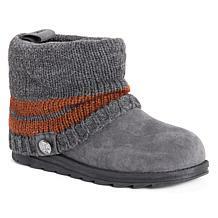 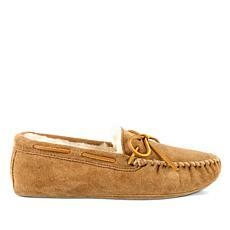 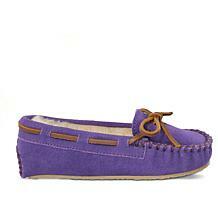 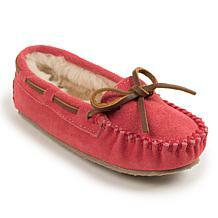 This cush, comfortable moccasin features a durable and easy to care for exterior. 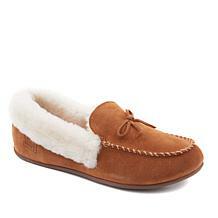 The exposed lining adds extra plush and warmth too. 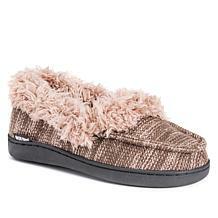 With plush linings for lounging and a durable sole for outdoor convenience, the Anaise moccasin makes slipper season so nice. 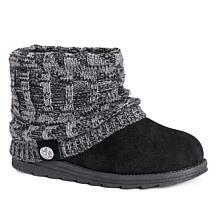 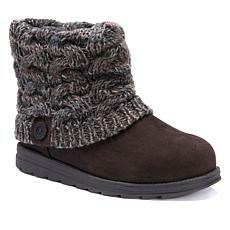 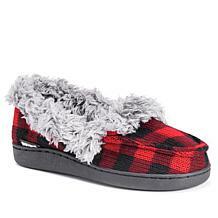 Style and comfort in a cozy slipper you'll love nestling into.